Mr. Neal Bryant Yancey, age 85, a lifelong resident of Newton County passed away Wednesday, March 20, 2019. He was born October 29, 1933 in Porterdale to Bryant and Lola Steadham Yancey who have preceded him in death. Mr. Yancey served in the United States Navy. 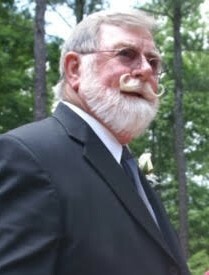 He owned and operated Atlanta Propeller Service, Inc. and was a member of Stewart Community Church. Mr. Yancey enjoyed fishing, hunting, riding his tractor, and his grandchildren. He was a loving husband, father, grandfather, great grandfather, brother and friend. Mr. Yancey was preceded in death by his sister Janet Wheeler. He is survived by his wife Beverly Norman Yancey, his daughters and sons-in-law Gay and Mark Clark, Tracey and Denny Sellers, and Belinda and Paul Cline all of Covington, his grandchildren Yancey and Garek Cochran, Summer Sellers, Hunter and Jordan Clark, Savannah Evans, Sydney Sellers, Chloe Evans, London, Lennox and Linkin Cline, his great grandchild Oaklyn Maye Cochran his sisters Joyce Anderson of Covington, Jean and J.E. Jenkins of Covington, Glenda and Leon Cofer of McDonough and Margaret Parker of McDonough along with a host of other family and close friends. Funeral services for Mr. Yancey will be held at 11 o’clock Saturday, March 23, 2019 at Stewart Community Church with Pastor Jason Johnson officiating. The family will receive friends at the church from 10:00 AM until 11:00 AM Saturday prior to the services. In lieu of flowers, donations may be made to Stewart Community Church, PO Box 608, Covington, GA 30015. J.C. Harwell and Son Funeral Home, 2157 East Street, SE, Covington, GA 30014 is in charge of the arrangements. A guest book may be signed on-line www.harwellfuneralhome.com.